Fontself Generator plugin can not be found? Fontself requires the Photoshop Generator plugin to be activated. 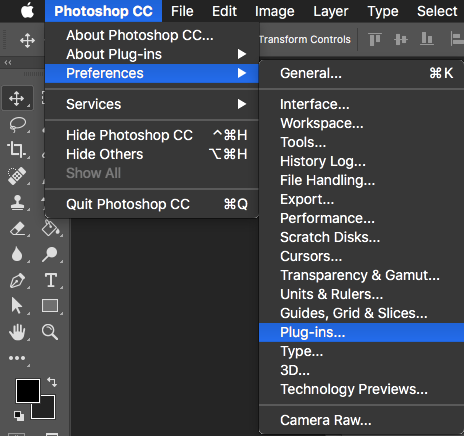 If it ain't, first ensure that "Enable Generator" is checked in Photoshop Preferences > Plug-ins? If the extension keeps asking for Generator, try restarting Photoshop. More than one version of Photoshop running? If you have more than 1 version of Photoshop opened, try to close them all and only start one. Running multiple versions is not recommended if you want to use Fontself Maker. Finally, if your OS is a 64-bit Windows, mind that the 32-bit version of Photoshop does not run as expected. Install Photoshop 64-bit instead.